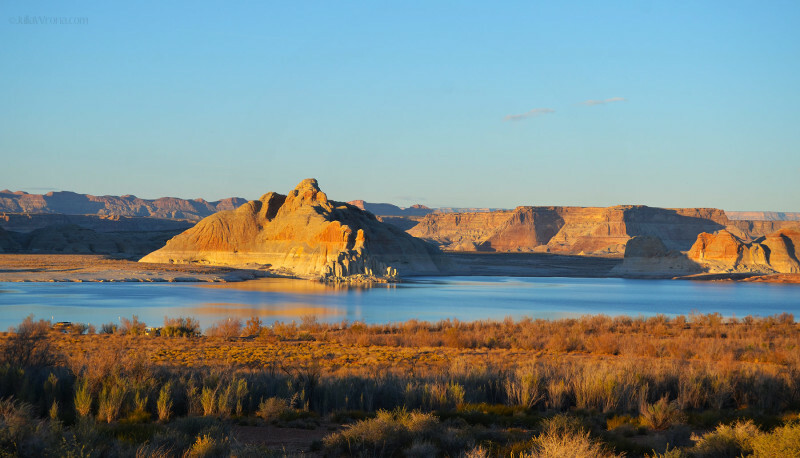 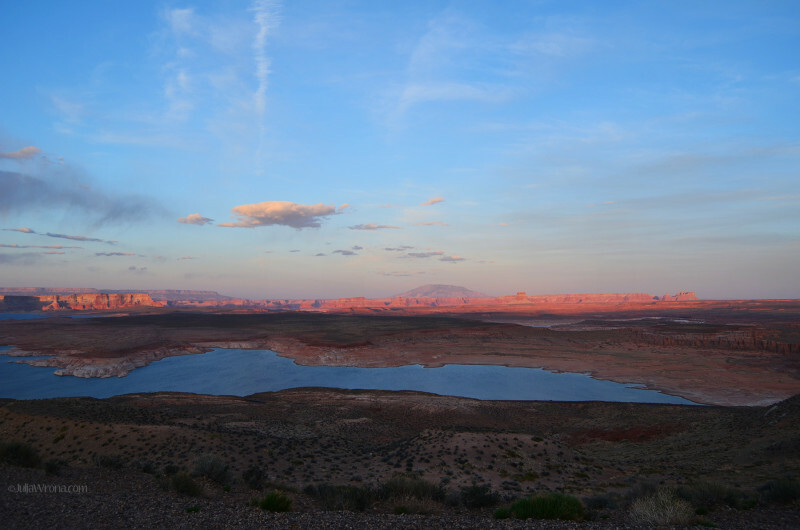 We spent four days in the Wahweap Campground overlooking Lake Powell. 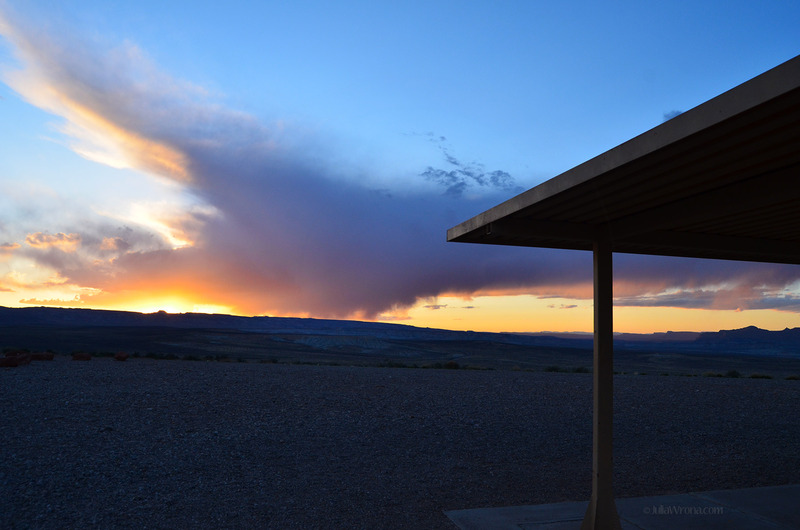 It was a beautiful and relaxing spot. 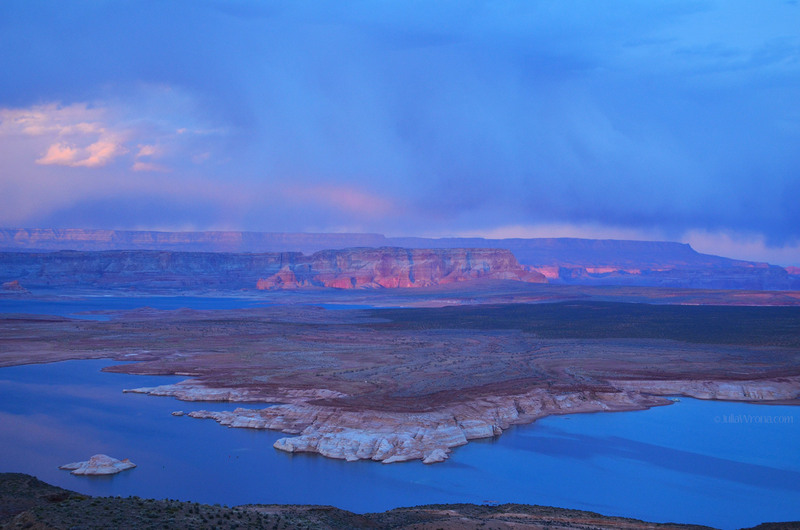 While we were there I got up early for some solitude and to witness the dramatic sunrises over Lake Powell. 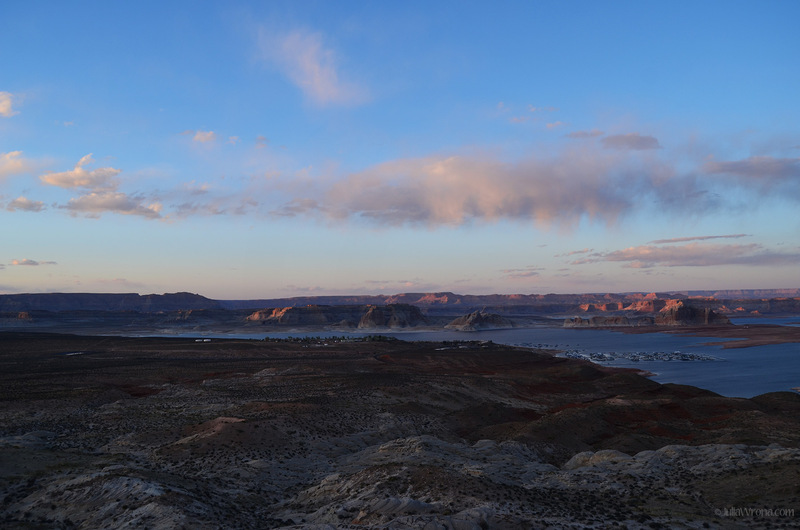 We hiked all alone along the bluffs above the water and realized that we echoed across the canyon. 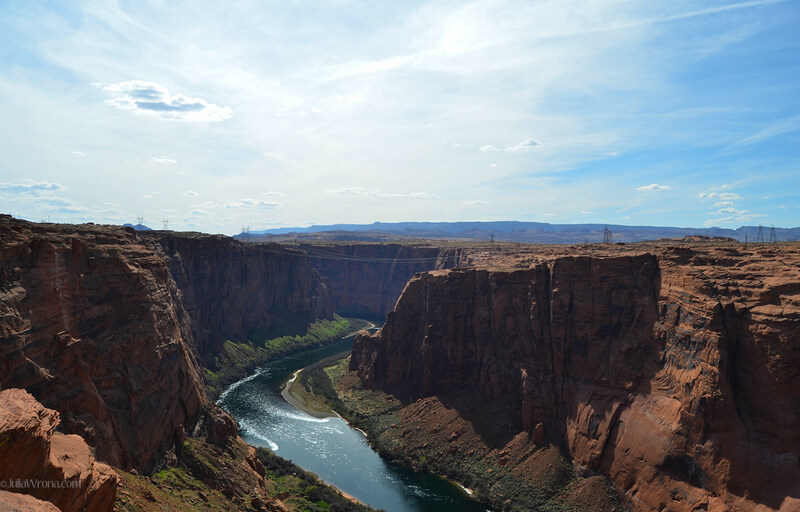 From the spot where we were standing, one yell or clap bounces through the canyons and comes back at you four times. 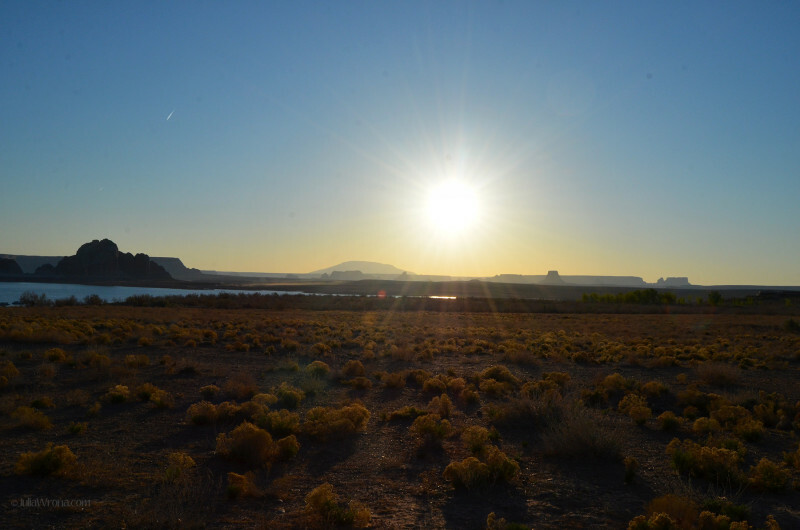 If you listen really closely to the video below you can hear the endless echoes. 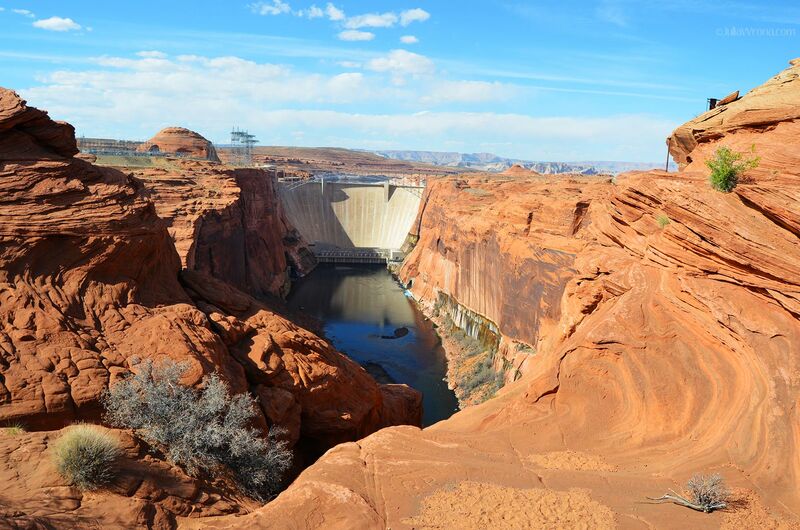 The Glen Canyon Dam which dams the Colorado River and makes Lake Powell the reservoir it is rather than the dry lakebed it would naturally be. 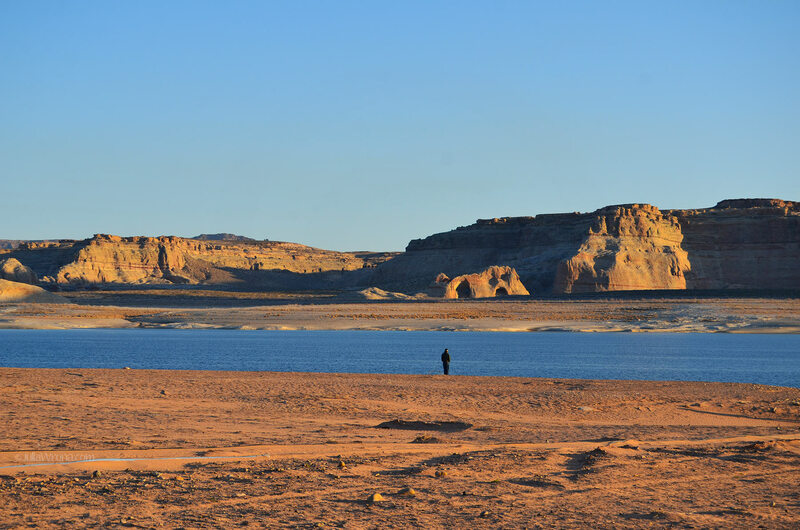 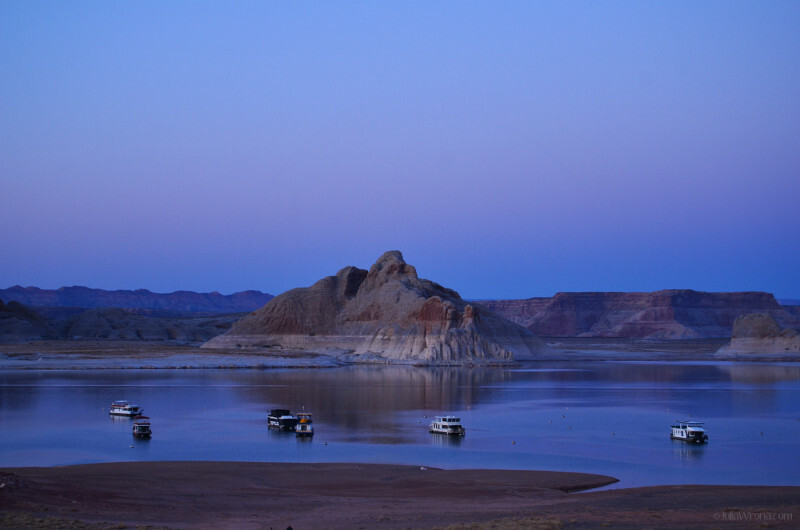 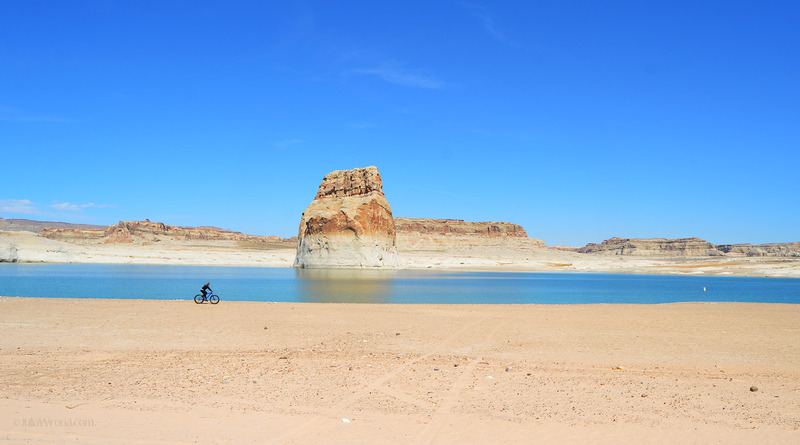 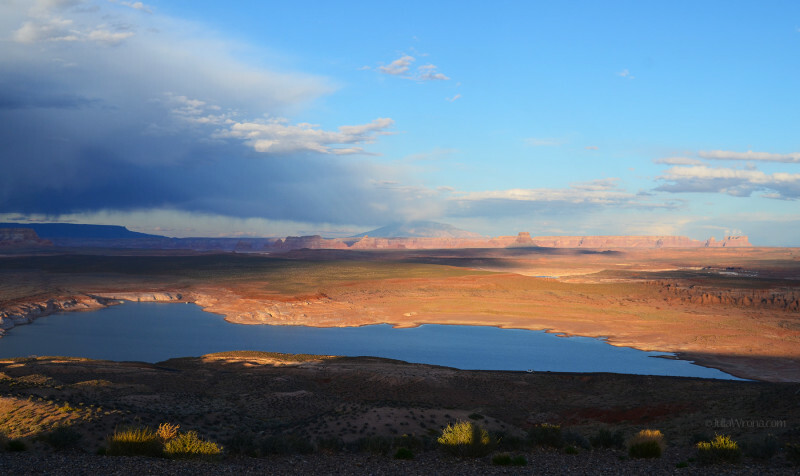 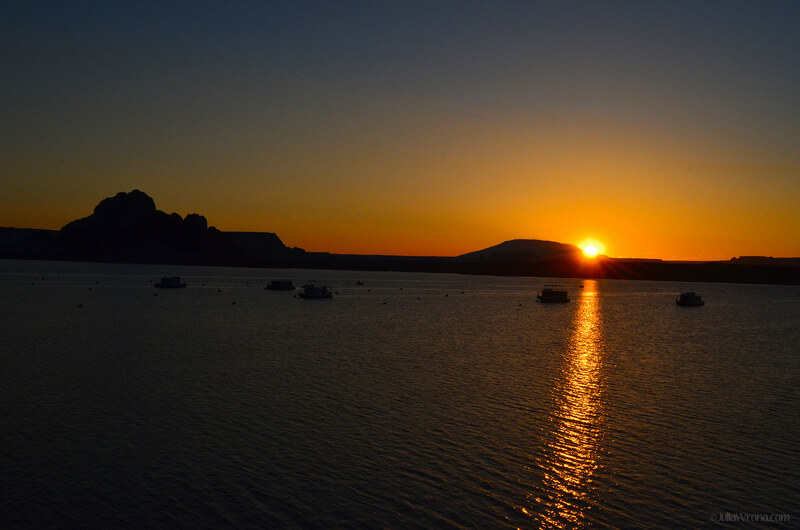 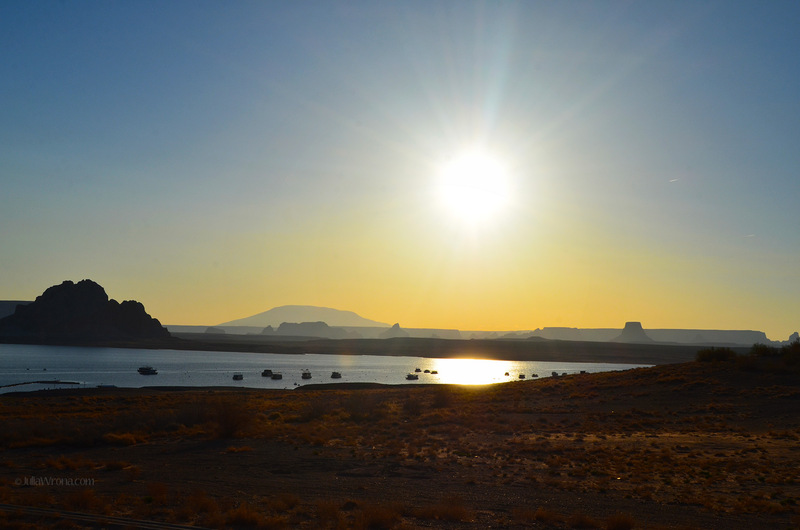 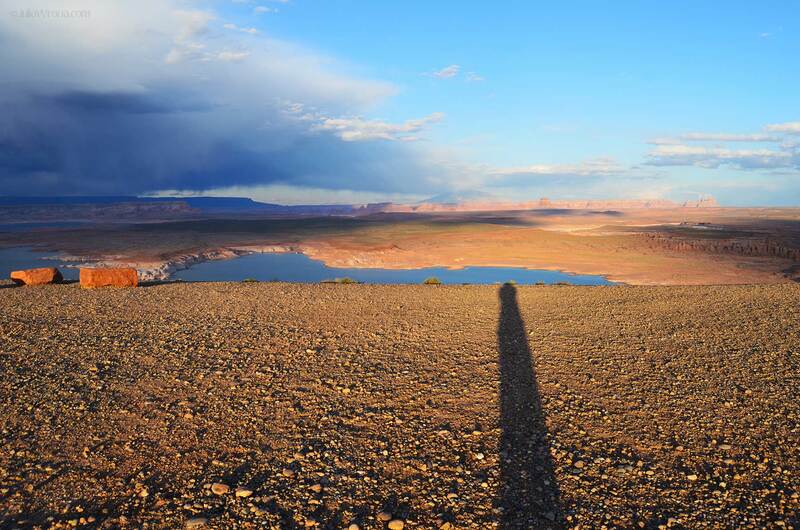 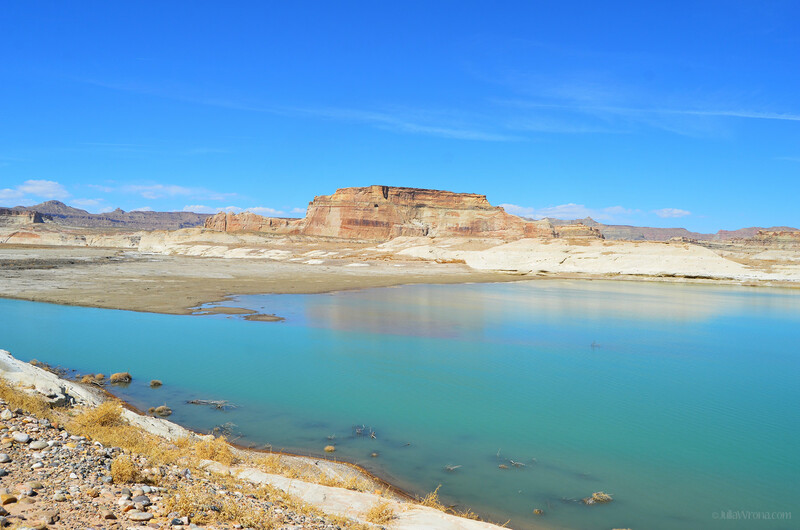 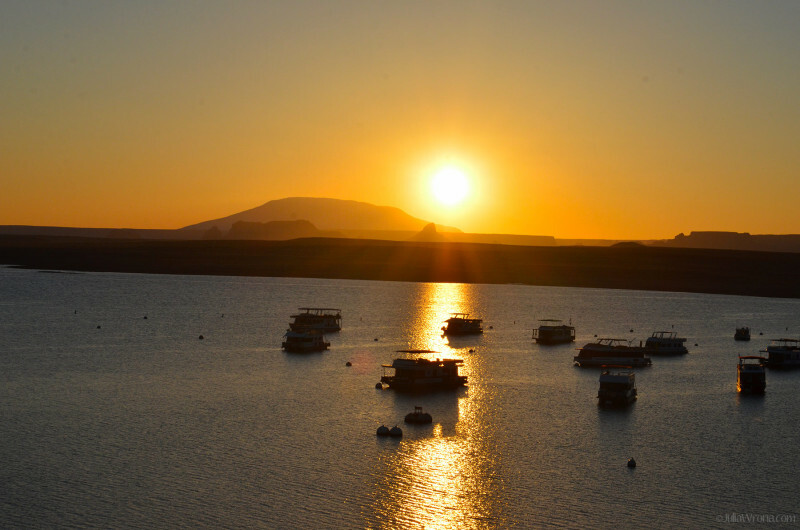 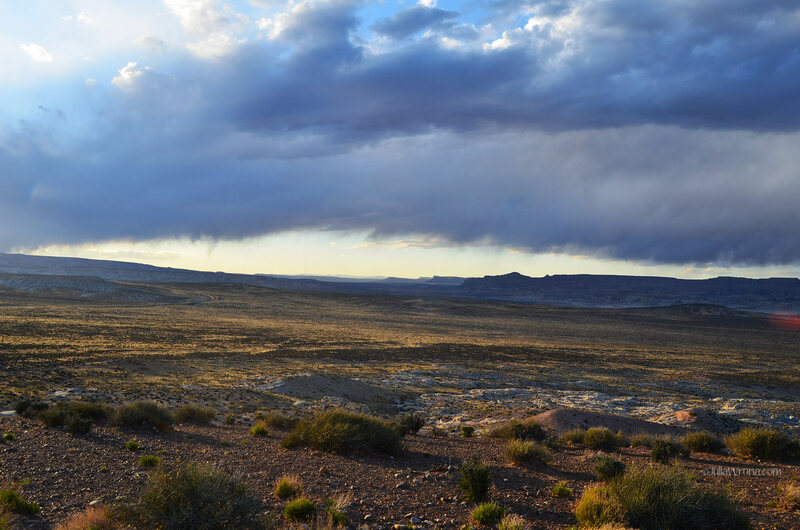 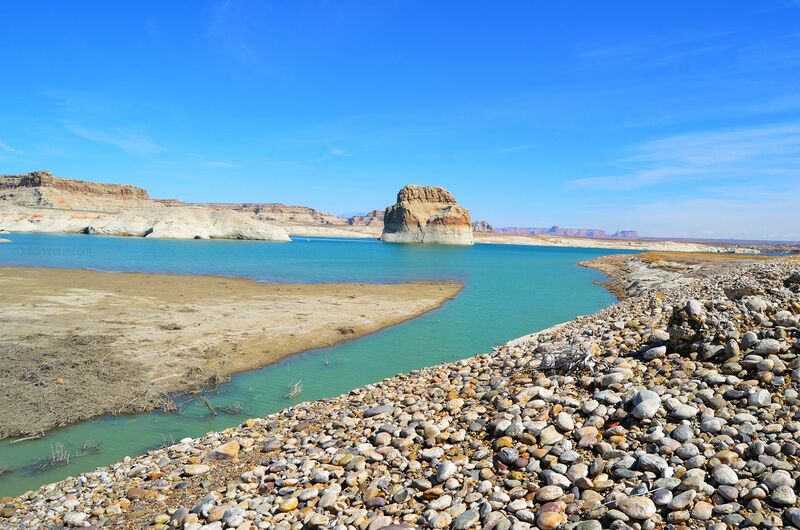 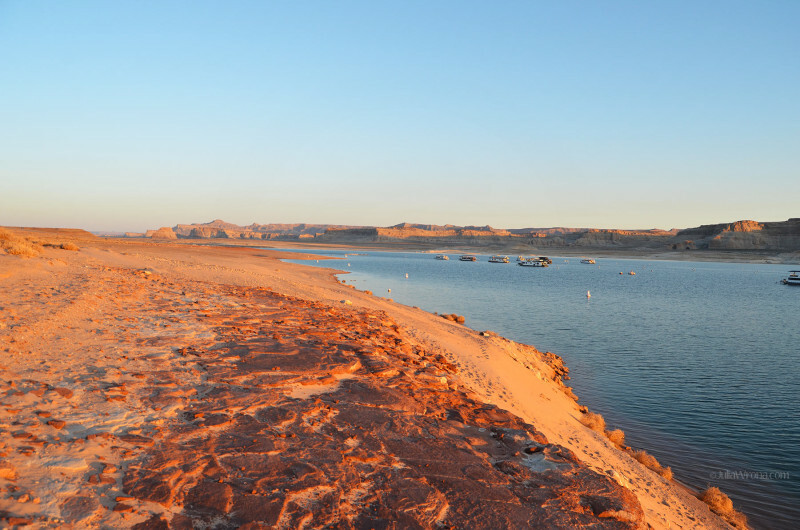 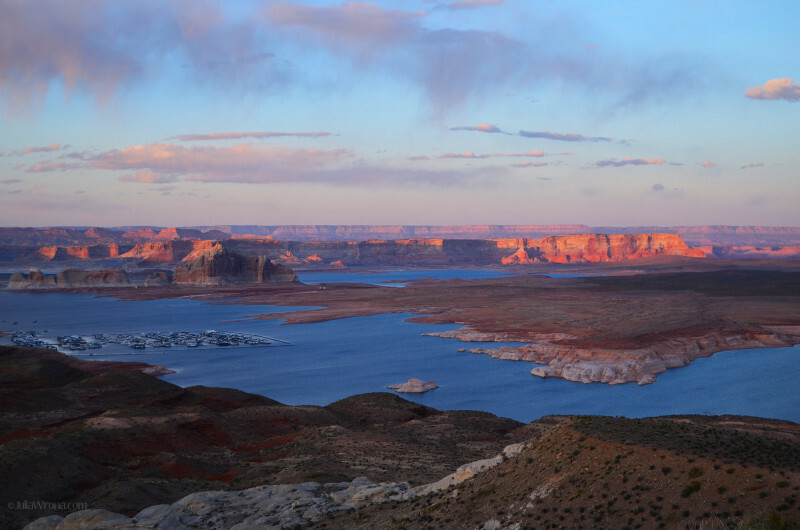 This entry was posted in Julie, Photo and tagged Arizona, camping, hiking, lake powell, Utah.